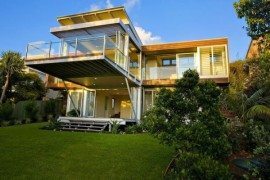 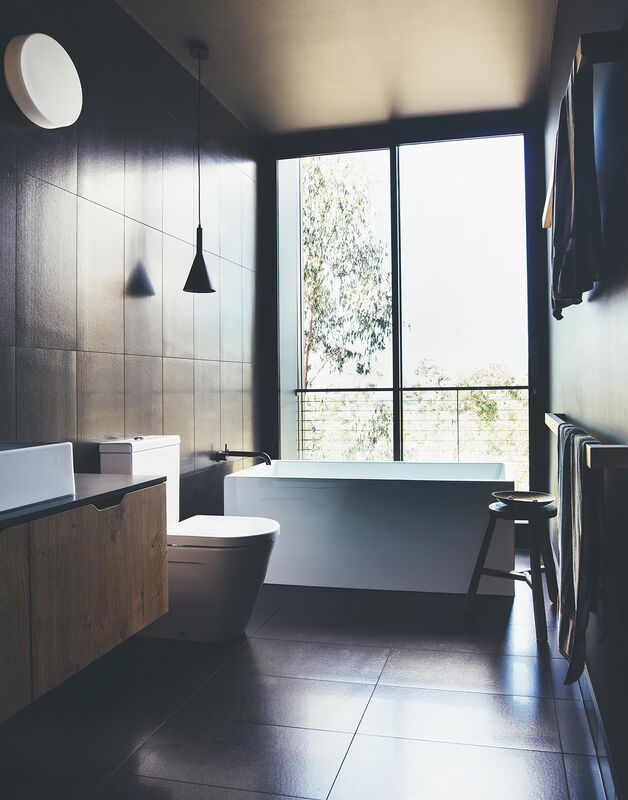 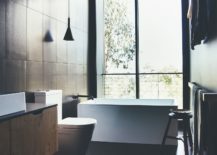 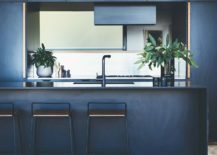 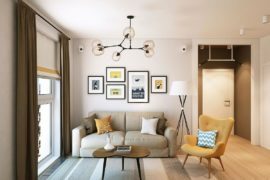 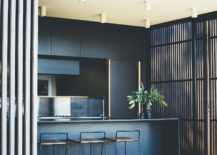 Contemporary homes can be creative, warm, inviting and eco-savvy and be so without sacrificing aesthetical value and a sense of sophistication. 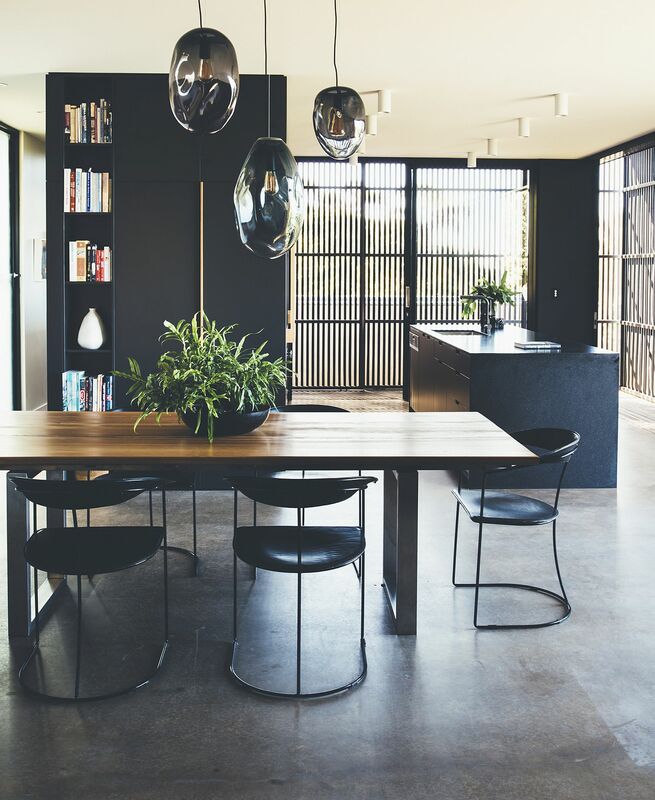 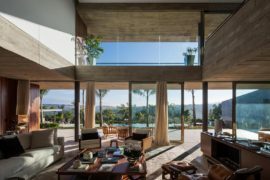 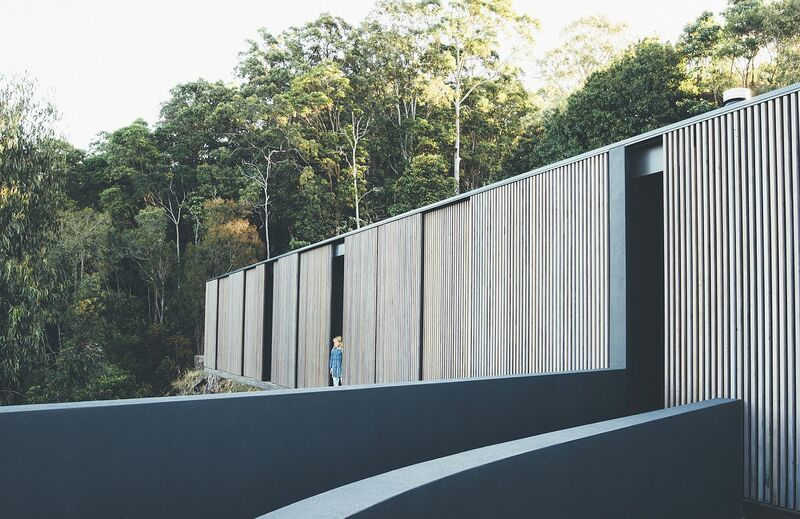 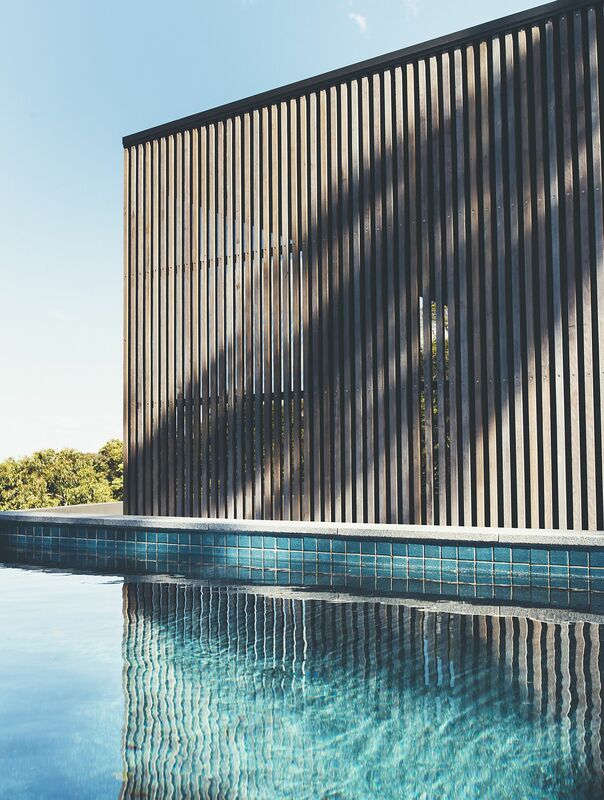 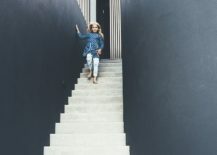 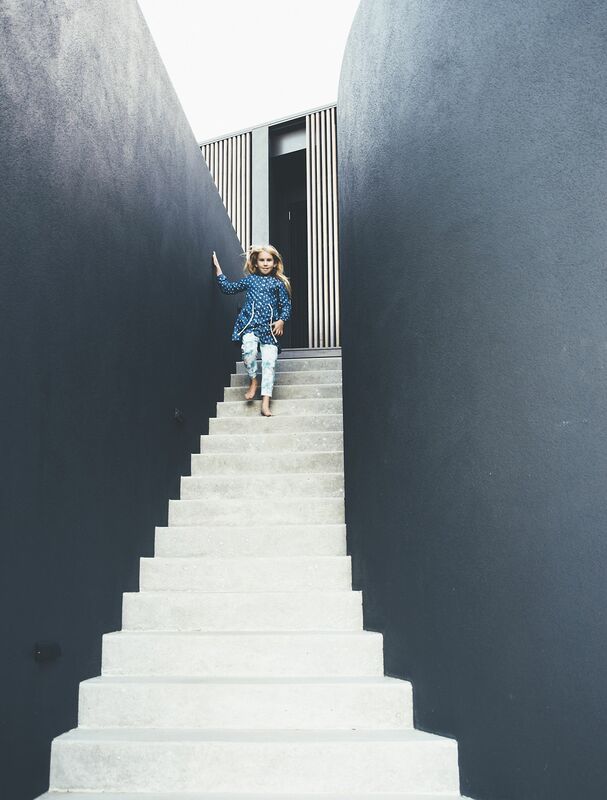 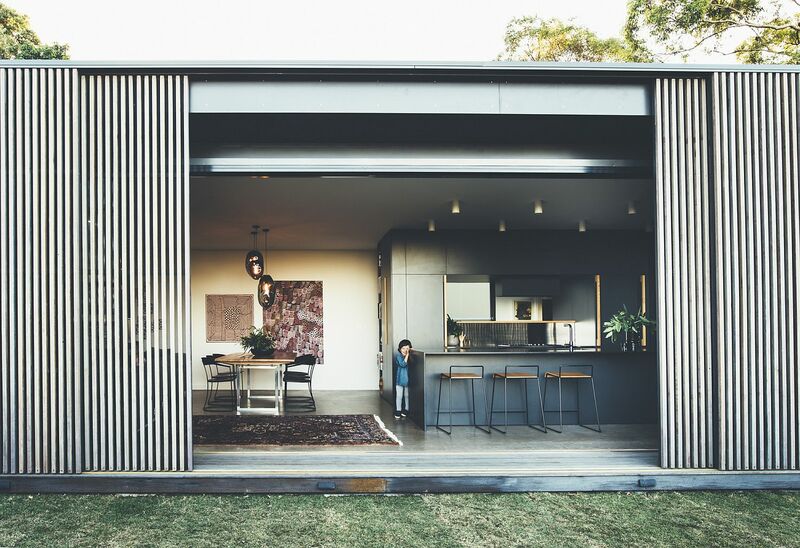 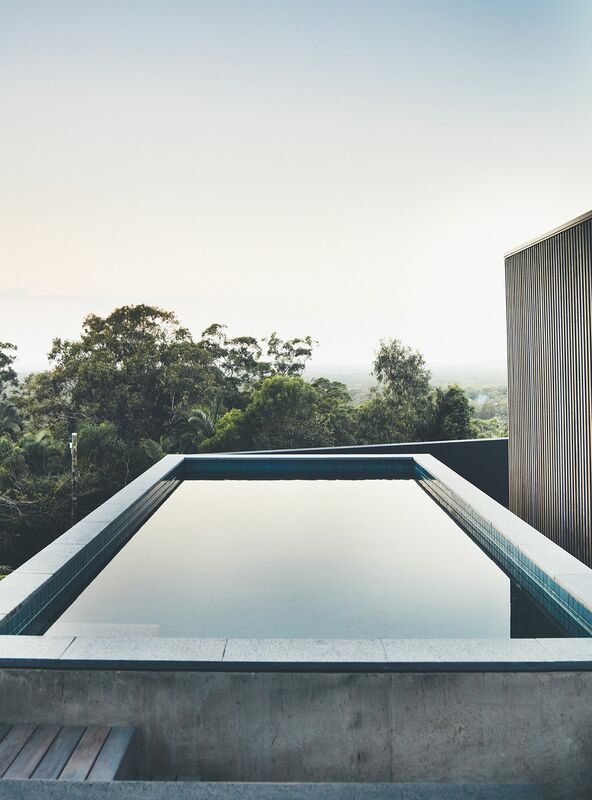 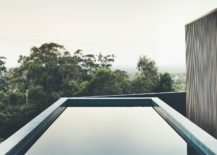 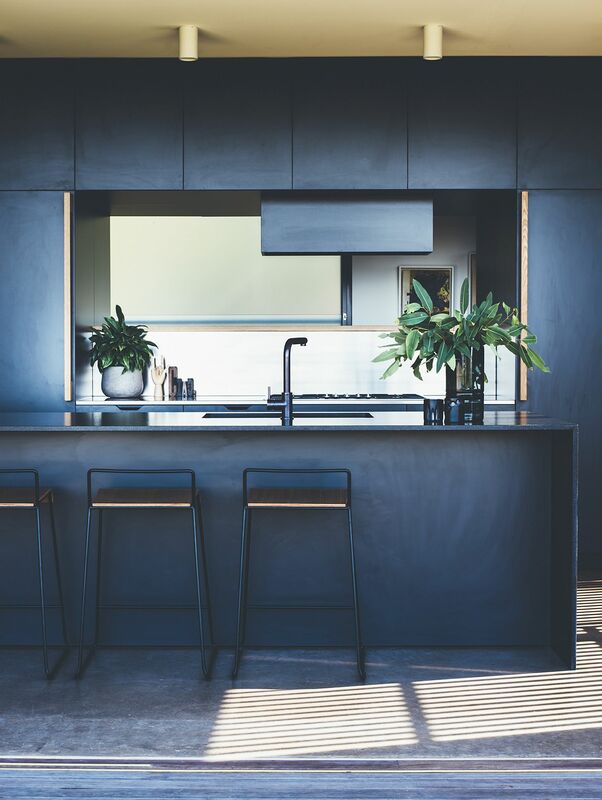 Nestled on the famous Sunshine Coast of Queensland and in the interior of Noosa Shire, the Tinbeerwah House overcomes topographic challenges to fashion a seamless indoor-outdoor interplay. 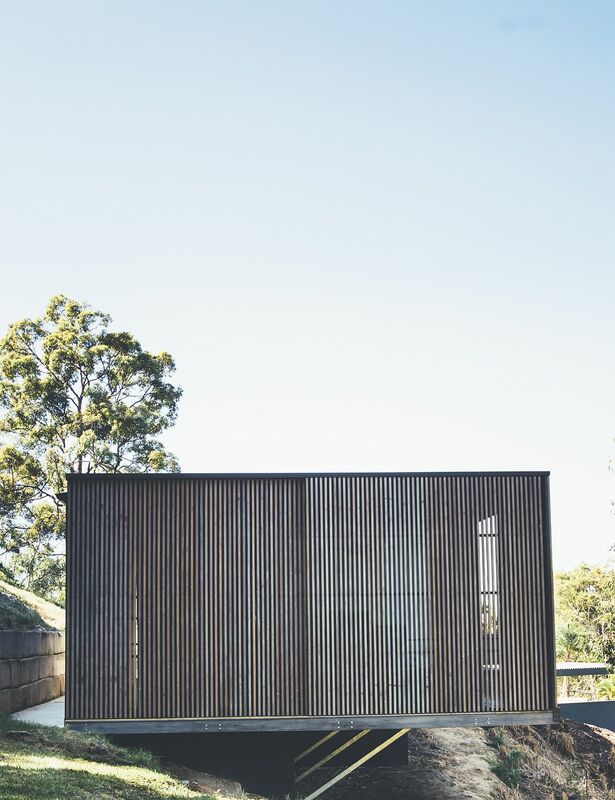 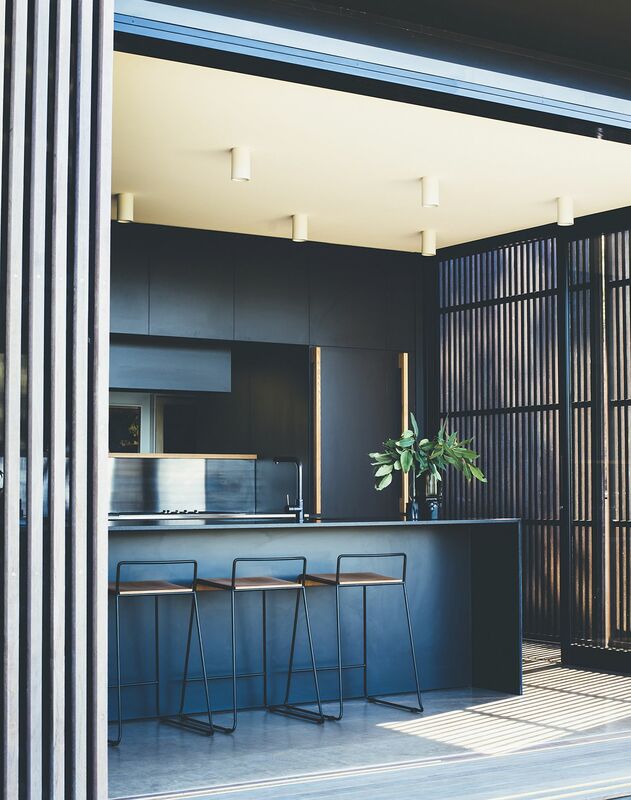 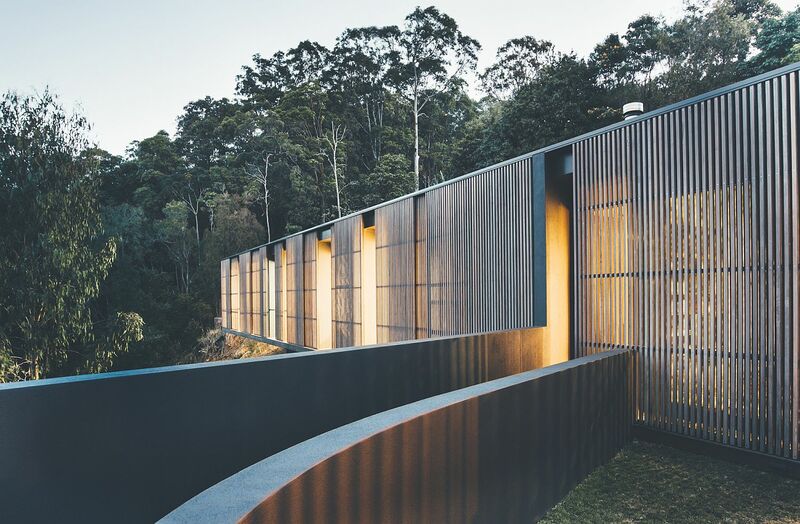 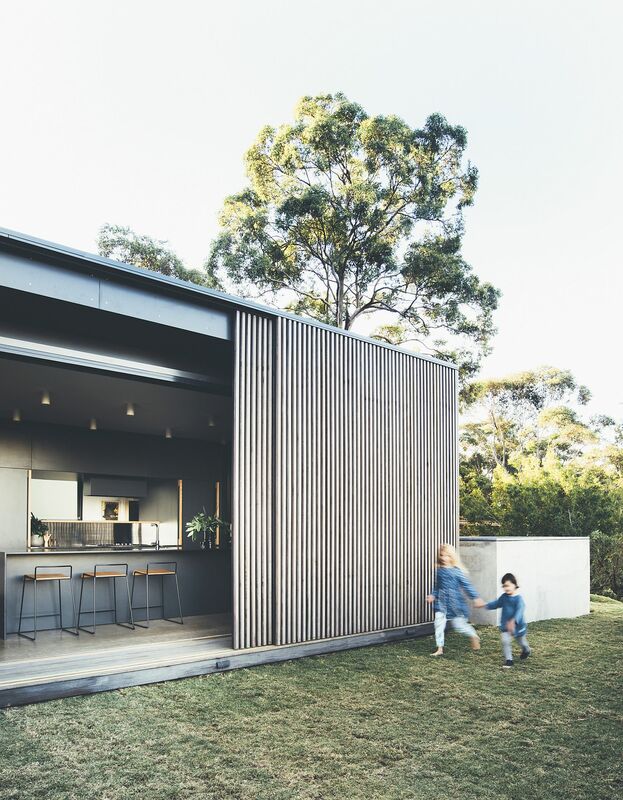 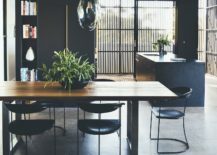 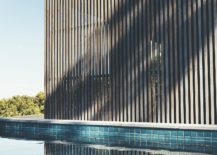 Designed by teeland architects, the minimal and modern family residence relies on innovative sliding hardwood screens to alter between a ‘privacy mode’ and an ‘open, inviting mode’. 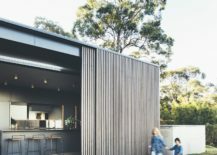 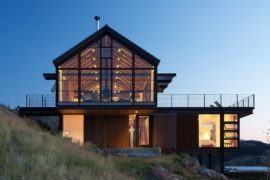 The large screens quickly slide open and shut depending on the season and the necessity of the homeowners to create adaptable, varied living conditions. 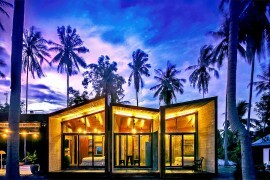 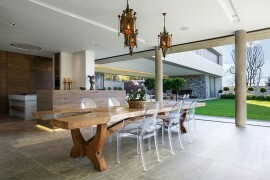 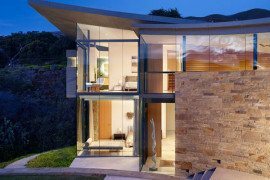 The house is designed to collect its own solar power and rain water for use in the house. 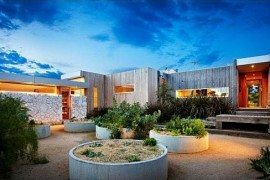 Then the waste water from bathrooms, kitchen and laundry is recycled on site then used for irrigation and bush regeneration. 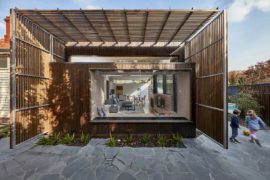 There is a small orchard and terraced vegetable garden, completing it as a contemporary sustainable house.